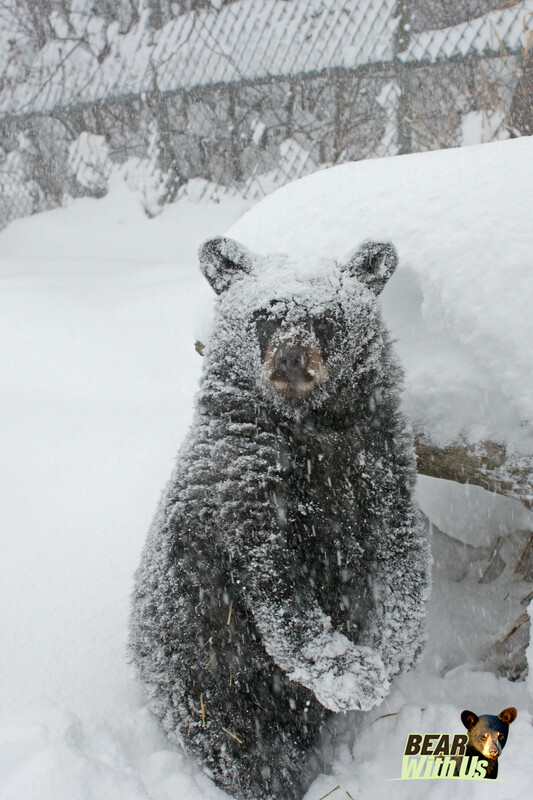 NOT OPEN TO THE PUBLIC – Most of the bears that arrive at Bear With Us must be returned to the wild. 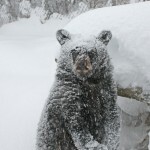 Because of this we cannot allow visitors to see any of the wild bears (cubs). 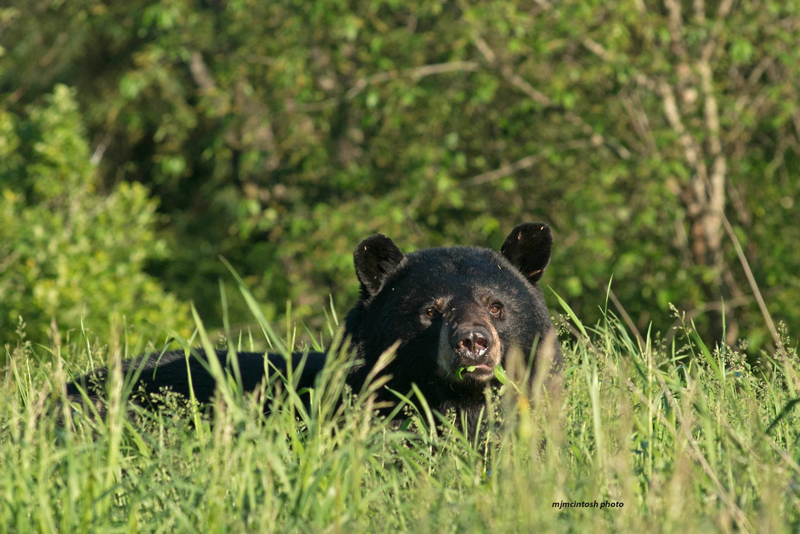 The bear’s chance at wild survival has been our primary concern since the inception of Bear With Us. 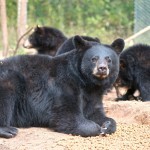 Current permanent residents: Two Bears – Yogi and young Bennie. Yogi also a circus bear was never forced to perform. 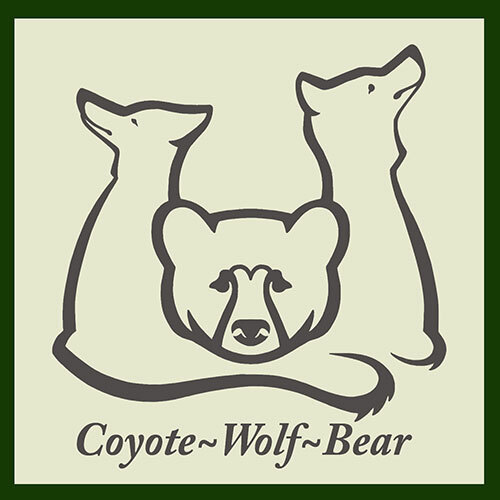 He was aquired as a young cub and was kept as a pet or mascot. 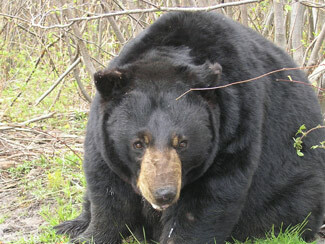 Well fed, Yogi’s owner heard about the plight of Molly through the media in England. 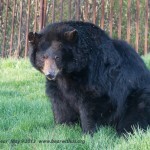 Looking for a good home for his maturing and growing bear, Yogi’s owner called the World Society for the Protection of Animals in the UK and asked them to help find Yogi a home. 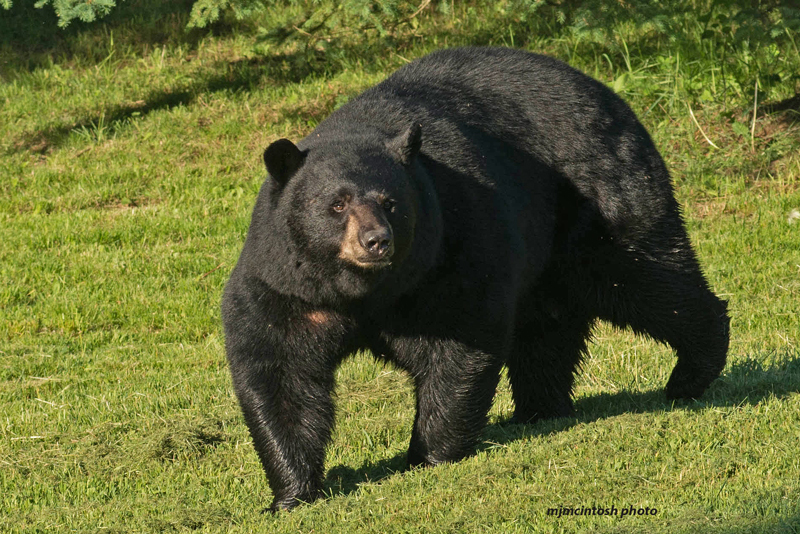 The owner of the English circus was put in touch with Mike McIntosh of Bear With Us in Ontario, Canada and it was decided that Molly should have some companionship, and Yogi would be it. 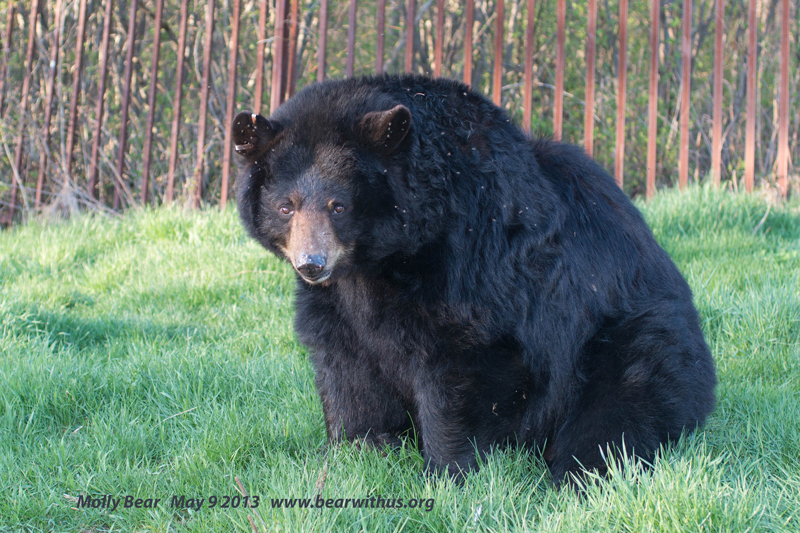 The World Society for the Protection of Animals (WSPA) in the UK coordinated with the WSPA office in Canada and Yogi’s flight was arranged from the UK to Canada and paid for by the WSPA. 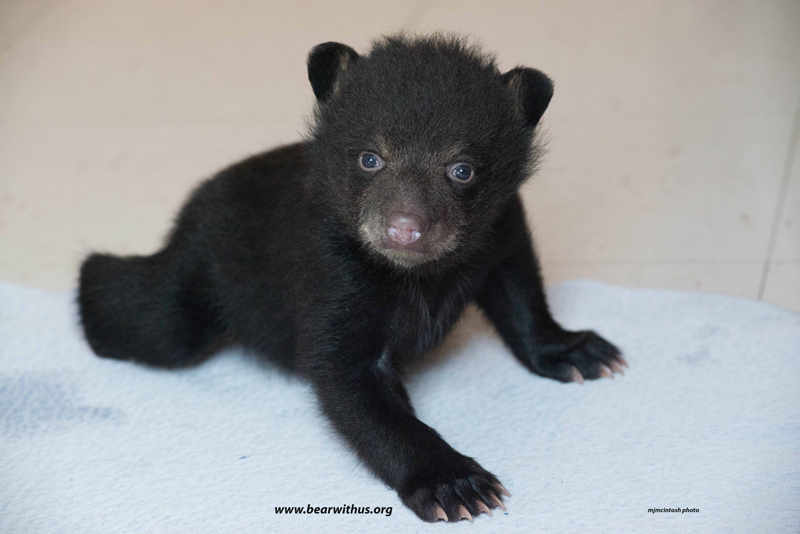 Bear With Us does not want captive born bear cubs. 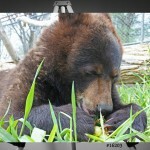 Yogi was given a vasectomy. 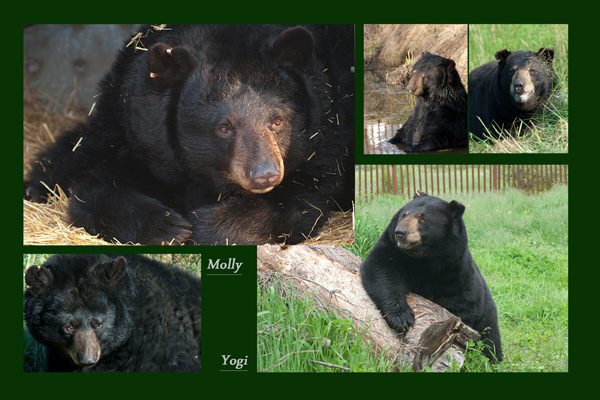 Molly and Yogi were companions to each other from 1995 to 2017, until Molly”s death. 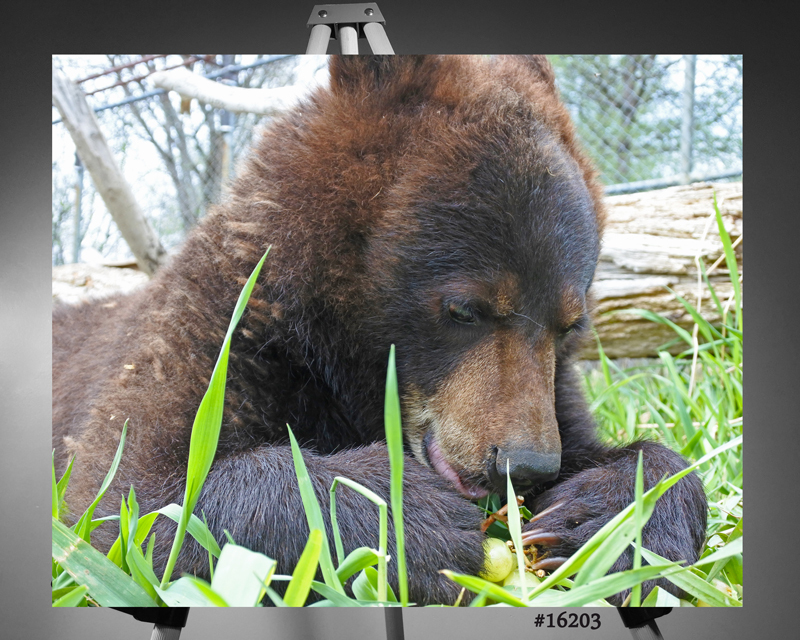 Bennie: Bennie is the most recent (2014) addition to the bears that we will keep as permanent captives. 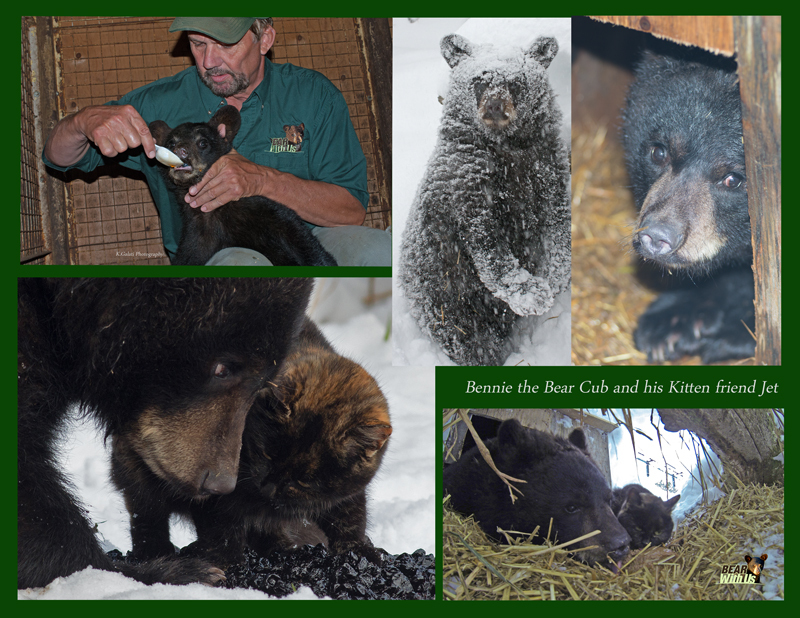 Bennie arrived as a small cub July 2014. He had been hit by a vehicle. Bennie suffered severe brain damage and was blind. 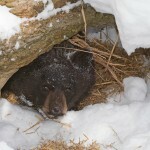 He has recovered but not enough to be returned to the wild, not enough for Bennie’s well being. He has regained much of his sight. Bennie was born January 2014. Ear tag ID, RT ear 184,189, metal ear tags. 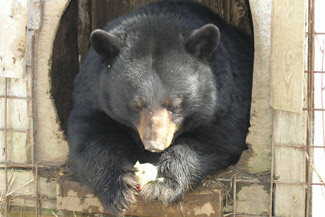 Molly, a former circus dancing bear with the name Clyde arrived to Bear With Us Dec. 1994 at the age of nine. She passed away Sept. 2017 at almost 32 years of age. She is missed. Molly (Clyde-her circus name) was an ex-circus bear who spent much of her performing life in Ireland. Forced to be a dancing bear (trained by putting the bear in a small cage, forcing it to stand on hot steel plates and playing music; the bear learns to associate the music with the pain of having it’s feet burned), Molly developed terrible stereotypic behavior. She was sold to a private menagerie and not well fed or cared for. 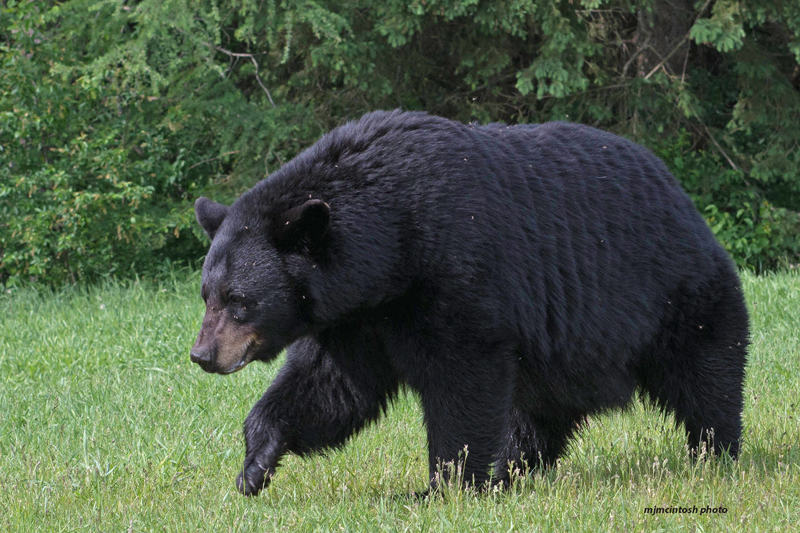 The Irish SPCA and most notably a man named Brendan Price was responsible for Molly’s arrival to the Bear With Us Sanctuary in Canada, the place of her origin. 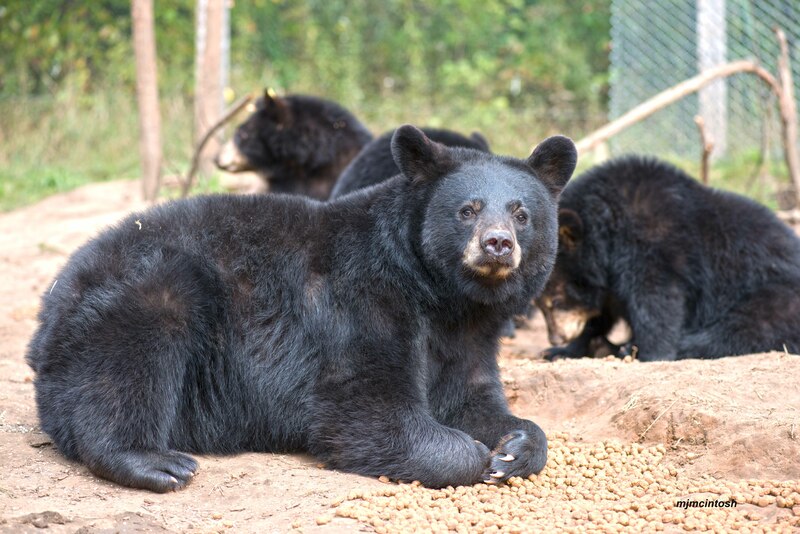 Zoocheck Canada helped Mike McIntosh of Bear With Us financially to get Molly situated in her new country and home at Bear With Us. 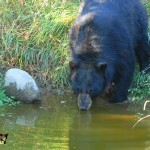 Molly resides with Yogi in a densely forested 3,717 sq. metre (40,000 sq ft) enclosure which includes a pond for drinking and cooling off. 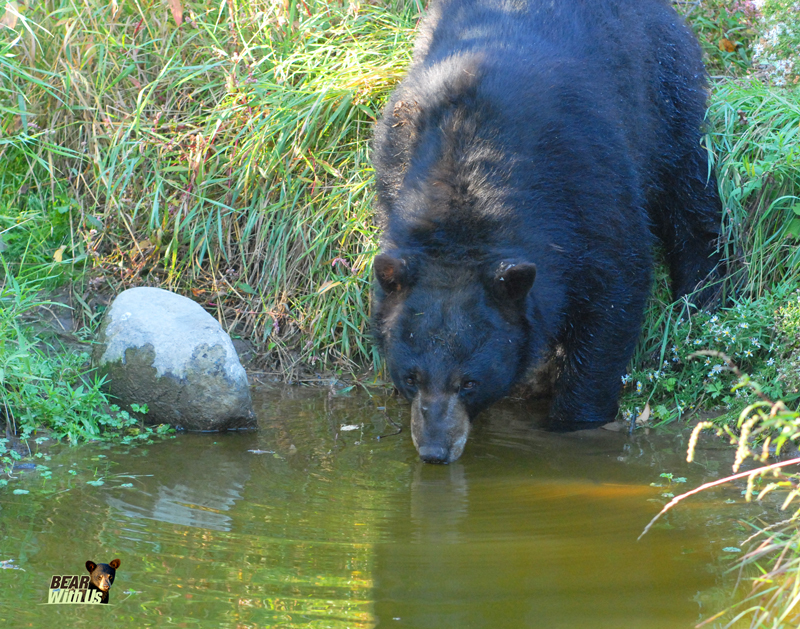 2017 celebrates Molly’s 23rd year at the Bear With Us Sanctuary. Molly will be 32 years old January 2018. 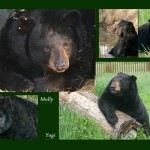 Molly is a beautiful bear still shy of men. Negative or stereotypical behaviors ceased to exist many years ago. 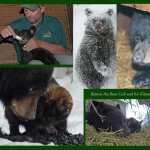 Molly and Yogi have not been allowed to produce cubs, captive born cubs is not what we want at Bear With Us. 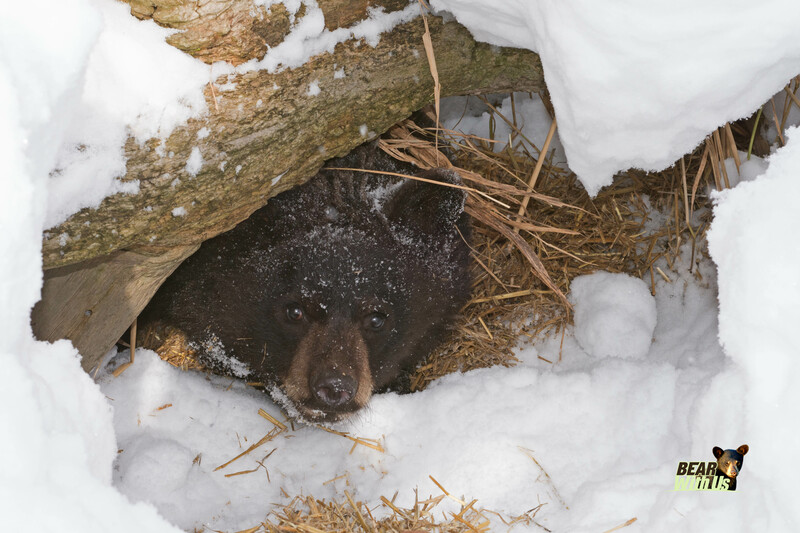 Even though Molly can never be returned to the wild, bears are beautiful animals that should be wild and free if at all possible.